With over 550 million users globally, 3.7 million in the UAE – LinkedIn has become the premier business professional network. Knowing how to maximise the impact of your LinkedIn profile is now key – helping you stand out from the crowd on LinkedIn and get the right people looking at your LinkedIn profile. Wayne has been using LinkedIn since 2009. 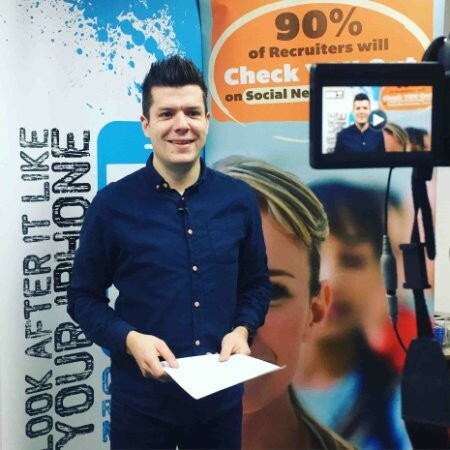 A decade later he has developed his profile on LinkedIn as a highly effective lead generation tool, developing business connections across the globe. He is a regular content creator on the platform. Wayne helps business and individuals use LinkedIn more effectively to build their personal brand and grow business opportunities. The course is designed to be highly interactive with extensive use of live online demonstrations. Facilitator led discussions of key concepts will engage the delegates in open debates that challenge existing marketing traditions. Case studies and exercises will be used so bringing your laptop along will be highly recommended to make the most out of the training provided. The programme will be supported with a work book, handouts and post course references.